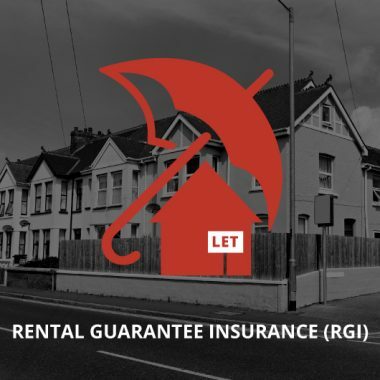 Is Rental Guarantee Insurance (RGI) a Good Idea? Is Rental Guarantee Insurance a Good Idea? In the second quarter of 2018, 324 landlord possession claims were issued and 250 landlord possession orders were made every day. Although this may be cause for concern, few would deny that the processes behind vetting tenants these days is better than ever. With more legally-watertight agreements alongside rigorous credit and employment referencing, landlords are more comfortable in the knowledge that their tenancies should run smoothly. What is Rental Guarantee Insurance and Why Take it Out? The premise behind Rental Guarantee Insurance (RGI) is that, if the tenants stop paying rent at any point, the landlord can make a claim. The insurance company will then take the appropriate action to recover the debts owed, and the landlord can take a back seat. Although it’s not for everyone, landlords often choose to take on this form of insurance as it removes a weight off their mind. In the worst-case scenario, they will still get rent. Some also see it as a way of reducing contingency funding and improving overall business processes. Or perhaps a borderline case emerges where a prospective tenant may have missed a bill payment or defaulted on a relatively insignificant loan in the past. If all the other boxes are ticked (and there is a guarantor in place), taking out a rental guarantee policy provides an added level of comfort. Of course, even those who have gone through the pre-tenancy process without any hitches can sometimes run into difficulties. Problems are then exacerbated when a tenant decides to act uncooperatively, and the ever-frustrating Section 8 and Section 21 procedures need to be initiated. The result can be several months of headaches as the landlord contends with a legal system that works against them. Meanwhile, whilst bearing the burden of unpaid rent, they’ll incur mortgage costs and other overheads. Throw in the growing risks resulting from Section 24, Prudential Regulation Authority (PRA) borrowing restrictions, rising costs etc. and taking out an RGI policy begins to make more sense. With so many products available, it can be difficult to see which one is best. Don’t expect to access competitive rates if you’re renting properties to Local Housing Allowance (LHA) tenants. Risk-averse insurance company models want to support tenancies that have successfully passed the vetting process (i.e. no adverse credit rating, regular income receipts etc). Sadly, many housing benefit tenancy applications would not be able to get over this hurdle, particularly given the ongoing debacle surrounding the Universal Credit rollout. This post was bought in collaboration with Asset Grove, one of London’s leading rent guarantee companies.